I’ve noticed that many new Steemians, and 50+ rep Steemians, don’t know exactly how Steemit works and how to utilize it fully. I’m putting together a guide that I will improve in time; about upvoting, Steem power, bots, other dApp-s, curation. Steem is built on inflation, that means that every day, Steem generates new cryptocurrency and redistributes it between it’s users. Users who have more Steem power have a bigger voice on redistribution. Price of STEEM is determined same way as Bitcoin gets its price – on open market, where people buy and sell it with desired price. What is Steem power ? Steem power (SP) is what gives you influence on Steemit, if you upvote somebodys post. It also gives you higher curation rewards. SP has basically same value as Steem. Only thing is that it’s locked and you cant withdraw it right away. It takes about 13 weeks(1/13 of STEEM every week) to convert your SP to STEEM – that is called as powering down. Reasons for that can be many, but i think it is to control the market and not let it crash when something big happens. Powering up is process where you convert your STEEM to SP and that can be done instantly. You can buy other cryptocurrencies like Bitcoin and trade STEEM for them. How to get curation rewards? By upvoting new quality posts that you believe will (and should) get famous. You will get a % of all the upvotes that will come after you. The percent you get depends on your SP. To increase your reward you can repost/reblog it, in hopes that your followers will also upvote it. There’s also a curve when you will earn less curation rewards – best time to upvote post is when it’s 15-90 minutes old. BUT if you find really good post that you feel will get a lot of votes after your, but is hours old, then theres a chance that some curation community will pick it up and share it with its community; thus increasing reward pool significantly. How much should i vote ? Every time you upvote a post or a comment your voting power decreases 2%, but don’t worry, it also recharges 20% a day(0.83% per hour). That means that voting more than 10 times every day, is not sustainable. What effect reputation has ? In part of looking like cool-guy, it doesn’t have much effect. It’s only job is to regulate downvotes/flagging, to make sure low reputation users can’t flag users with higher reputation. This was put in place, because people would create new accounts and downvote people who they disagree with. Do you have wordpress blog ? Definitely use @steempress plugin for wordpress to post your stuff to Steemit. They manually upvote most of their posts with 1-10$, using curation trail of big qurators like @curie. That means that if @curie upvotes you, Steempress will give you even bigger upvote. DApp – Decentralized application is an app that is built on blockchain (like Steemit), meaning that everybody can use the same source and build another front end website on top of that. 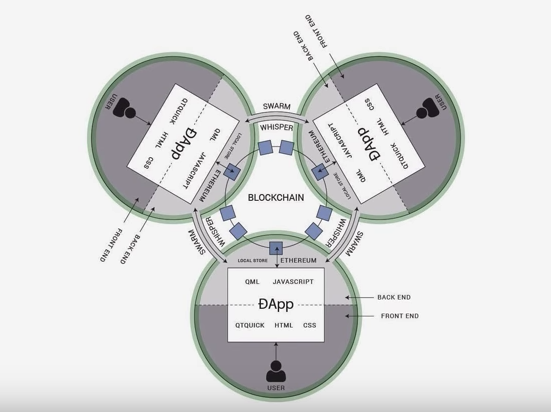 DApp has its backend code running on a decentralized peer-to-peer network. All DApp-s use the same data, but the outcome how you see it, can be different. In all these DApp website you can earn STEEM money and use your STEEM credentials to login. Steemit – you probably already know about it. Bescouted – place for professional photographers, models, make-up artists, hair stylists, wardrobe stylists and retouchers with an aim to connect them in their projects. SteemBotTracker – if you want to pay for bots to upvote your post, head here first.